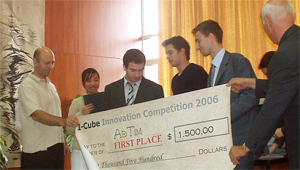 Three winners were selcted from five semi-finalist Romanian university teams by a Four-Person Review Panel of technology and business experts. 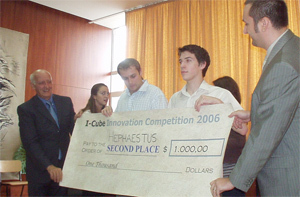 The competition is modeled on the highly successful MIT $100K Competition run by students at the Massachusetts Institute of Technology. 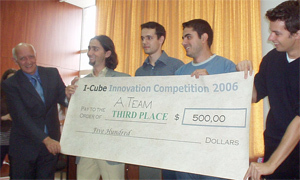 Two representatives of that competition met with the student founders of the I-Cube Association (Romania) in June 2006 during a visit to Bucharest.